Marie Joseph Paul Yves Roch Gilbert du Motier, Marquis de Lafayette was born on September 6, 1757, in the province of Auvergne, France. His father was killed while fighting against the British in the Seven Years' War (1756–63). His mother and grandfather died when he was thirteen, leaving him a wealthy orphan. After studying in the Collège du Plessis in Paris, France, Lafayette joined the French army in 1771. In 1773 he married Adrienne de Noailles. However, he was not ready to settle down to the life of a wealthy man. After the outbreak of the American Revolution, he volunteered to help the new country in its fight against France's historic enemy, England. King Louis XVI (1754–1793) refused to allow Lafayette to go to America, but Lafayette sailed anyway, after buying a ship with his own money. In June 1777 he landed in North Carolina. The Continental Congress had given him a commission as a major general, but his actual duties were as assistant to General George Washington (1732–1799). 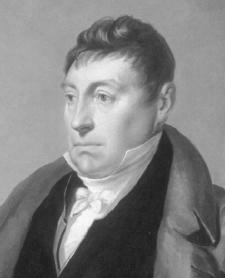 He assisted in battles against the British in Pennsylvania and New Jersey and eventually was sent back to France in an attempt to obtain greater French support for the Americans. Upon returning to his homeland in 1779, Lafayette was arrested for having disobeyed the king, but all was soon forgiven. Although not all his proposals for aid to the Americans were approved, Lafayette returned to America in 1780 in command of French forces that were sent to help. In 1781 he was given command of the defense of Virginia with the rank of major general. He drew English commander Charles Cornwallis (1738–1805) into a trap at Yorktown, Virginia; Cornwallis was blockaded by the American forces and by French troops under Admiral de Grasse. Cornwallis's surrender was the high point of Lafayette's military career. When Lafayette returned to the French army in 1782, he was considered a hero. He became a leader in the movement against the French monarchy (absolute rule by a single person). In 1789 he took a seat in the Estates General, the French legislature. The adoption of the Declaration of the Rights of Man and the Citizen (loosely based on the Declaration of Independence) was his idea, and he was given the command of the Parisian National Guard, a force of citizen-soldiers created to defend the new constitutional monarchy. Lafayette favored a moderate course (a gradual rate of change) for the Revolution but found that many others were not so willing to wait. His popularity declined, and his command to his troops to fire on a mob in 1791 led to his dismissal as command of the guard. However, the beginning of war against Austria and Prussia in 1792 returned Lafayette to military life as commander of the army of the Ardennes. In August he crossed over into Austria with a few fellow officers. He was captured and held as a prisoner of war until 1797, when Napoleon Bonaparte (1769–1821) obtained his release from jail but did not permit him to return to France. Lafayette had become so politically powerless that when he did return in 1799 without permission, he was given a military pension and allowed to live quietly in Lagrange, France. When Napoleon stepped down as emperor in 1814, Lafayette was elected to the Legislative Chamber and demanded that Napoleon be kept out permanently. The return to power of the monarchy in 1815 after the Hundred Days (Napoleon's brief second reign) returned Lafayette to a position as a leader of the opposition to Kings Louis XVIII and Charles X. In 1824 Lafayette vis ited America as a guest of the government on a tour that lasted fifteen months. Congress rewarded him for his efforts during the American Revolution with money and land. When he returned to France in 1825, he was known as the "hero of two worlds." Lafayette did not regain political prominence until revolution broke out again in 1830. Named to command the reestablished National Guard, he supported the naming of Louis Philippe as a constitutional monarch. He was dismissed from the guard the following year and became a critic of the new king. When Lafayette died in Paris on May 20, 1834, he had few followers left. His biggest influence was as a living symbol—of friendship between France and America, and of the men who wanted a better world but could not accept terror and cruelty as the ways to bring it into being. Gottschalk, Louis R. Lafayette Comes to America. Chicago. : University of Chicago Press, 1935. Grote, JoAnn A. Lafayette: French Freedom Fighter. Philadelphia, PA: Chelsea House Publishers, 2001. Kramer, Lloyd S. Lafayette in Two Worlds. Chapel Hill: University of North Carolina Press, 1996. Maddox, Margaret. Lafayette in the French Revolution through the October Days. Chicago: University of Chicago Press, 1969. Woodward, W. E. Lafayette. New York; Toronto: Farrar and Rinehart, Inc., 1938. There is a small miniature portrait of the Marquis de Lafayette in Lexington, KY, at Ashland, the Henry Clay Estate. Unsigned, the Marquis is portrayed at a young man, very handsome and quite French, with an receeding chin. I am trying to figure out his connection to Henry Clay and why this piece would have come into Clay's hands. Any suggestions? I have a image of the portrait. I am looking for info about a painting that I saw of La Fayette in red pantalon. It looked like a battle scene where he is standing in front of an army. To his immediate left is a figure of a soldier with a tall black fuzzy hat and he's also in uniform. Do you know who/where I might ask/go to gather more info? I get why Lafayette was arrested, but was he actually thrown in jail, or was he just brought before King Louis XVI? Thanks for this! I'm doing a history fair/report on him, and this was helpful! However, I was wondering if you knew anything about his religious or political views/ideals? It's a requirement for this project, but I can't seem to find any information on it. Thanks! Thanks, This really helps! I'm doing a Wax Museum project on Marie Joseph Paul Yves Roch Gilbert du Motier, Marquis de Lafayette (That's his full name) and this REALLY helped! Thanks again!